The Freedom of the Press Foundation and other press freedom advocates expressed concern over the FBI probe into Sputnik, saying the agency had crossed the so-called red line for media. MOSCOW (Sputnik) — Trevor Timm, the executive director of the Freedom of the Press Foundation, expressed his concerns over involvement of the Federal Bureau of Investigations (FBI) in the inquiry into the activities of the Sputnik news agency, following allegations the agency acted as a Russian propaganda tool in violation of the US Foreign Agents Act (FARA). On Monday, the Yahoo News portal reported citing anonymous sources that the FBI had questioned former Sputnik employee Andrew Feinberg as part of the investigation. The portal claimed that the FBI had access to Sputnik's working correspondence from Feinberg and another former employee from Sputnik's Washington bureau Joseph John Fionda. "No matter one's feelings on Russia or Sputnik, I think it's concerning anytime the FBI gets involved in defining who is and isn't a journalist," Timm said, as quoted by the Washington Examiner media outlet. The representative of the foundation added that there could be a retaliation from the Russian side to the FBI activities, particularly in regards to US-supported media outlets. "Narrowing the media exception under FARA could not only have implications for all sorts of other foreign news outlets operating in the U.S., but also for Voice of America or independent journalists operating overseas if Russia chooses to retaliate," Timm added. His words were echoed by Gabe Rottman, who is the Washington director of PEN America. "Say what you will about Sputnik or RT [broadcaster], the biggest concern with the FBI focusing on a foreign-owned media organization as a suspected foreign agent is retaliation against U.S.-supported outlets such as Voice of America or public broadcasters like the BBC," Rottman told the news outlet. The official added that it was necessary to tackle the alleged influence of other countries, but the approaches to "state propaganda" and "'bona fide' news" should be different. Jonathan Turley, a law professor at George Washington University, said that the FBI investigation had crossed the so-called red line for media. 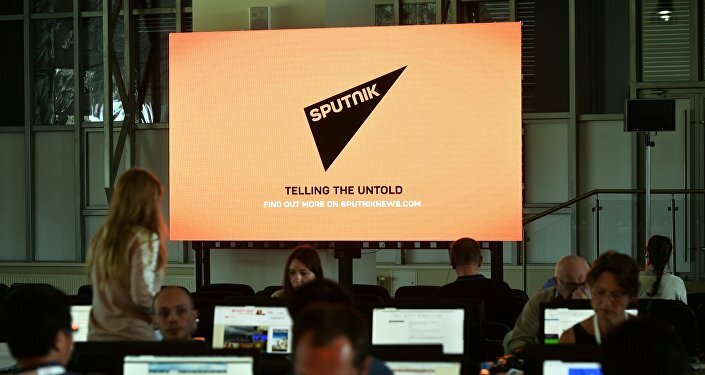 "The investigation into Sputnik crosses a long-observed red line for media… Countries around the world have long accused media of being tools of foreign governments as a pretense for investigations and arrests. The line between government direction and pro-government bias is a subtle one [and] many media moguls have a bias and close ties to governments," Turley said, as quoted by Washington Examiner. According to the lawyer, the fact that the US agency has access to Sputnik's communications raises questions about press freedom, however, a lot of supporters of such freedom keep silent on the issue. On Monday, Sputnik's Editor-in-Chief Margarita Simonyan, commenting on the information about the FBI questioning a former employee of the news agency, expressed confidence that if Sputnik was being investigated by the US authorities, similar measures could be taken against US journalists in Russia, adding that "the freedom of speech is turning in its grave." — Sputnik (@SputnikInt) 11 сентября 2017 г. The FBI itself has not responded to Sputnik's inquiry on whether it was conducting an investigation against the news agency.